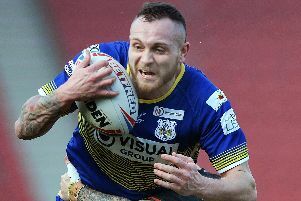 Doncaster RLFC will complete a gruelling three games in eight days spell when taking on London Skolars in their final League One Super 8s clash at the Keepmoat Stadium on Sunday. “It's a tough schedule especially when you consider how physical the game is - even against the lower clubs - and that we all work as well,” said skipper Kyle Kesik. “It may be London's last game of the season and they've got nothing to play for except pride and winning money, but we are expecting it to be a hard-fought game because they are a big physical side. Tonight's result will go a long way to deciding which of the two teams will finish higher than the other in the top five. “Obviously we want to win both games and we may need to win at least one to be mathematically certain of making the play-offs, but neither of us can finish any higher than fourth,” said Kesik. “That means we are going to be away in the semi-final and almost certainly in the final as well if we get there, unless there is a shock result, so it's going to be tough. He added: “Obviously it would be nice for the club to get out of this league at the first attempt, especially being the captain. Head coach Gary Thornton, who was impressed by his loyalty to the club following last season's relegation campaign, has been delighted with the job Kesik has done this season. “He gives away a few penalties every week but that goes with the territory because you want your middle players to play it hard and tough and he does that,” said Thornton. “He leads the side well and rarely has a bad game. “We've certainly missed him when he's been out injured.